S -44° 1' 59" and W -176° 22' 0"
Ouwenga in Chatham Islands is located in New Zealand about 488 mi (or 786 km) east of Wellington, the country's capital town. Current time in Ouwenga is now 01:51 PM (Monday). The local timezone is named Pacific / Chatham with an UTC offset of 12.75 hours. We know of 1 airports close to Ouwenga. The closest airport in New Zealand is Chatham Islands-Tuuta Airport in a distance of 16 mi (or 26 km), North. Besides the airports, there are other travel options available (check left side). While being here, you might want to pay a visit to some of the following locations: Waitangi, , , and . To further explore this place, just scroll down and browse the available info. Let's start with some photos from the area. The Chatham Islands is an archipelago in the Pacific Ocean about 680 kilometres southeast of New Zealand. It consists of about ten islands within a 40-kilometre radius, the largest of which are Chatham Island and Pitt Island. The archipelago is called Rekohu ("misty sun") in the indigenous language Moriori, and Wharekauri in Māori. 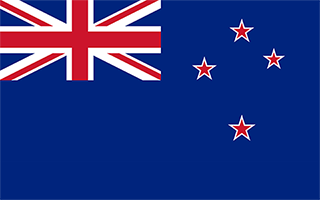 It has officially been part of New Zealand since 1842, and includes the country's easternmost point, the Forty-Fours. Located at -44.0333, -176.433 (Lat. / Lng. ), about 3 miles away. Chatham Island is by far the largest island of the Chatham Islands group, in the south Pacific Ocean off the eastern coast of New Zealand. It is said to be "halfway between the equator and the pole, and right on the International Date Line". The island is called Rekohu ("misty skies") in Moriori, and Wharekauri in Maori. The island was named after the survey ship HMS Chatham which was the first European ship to locate the island in 1791. It covers an area of 920 square kilometres . Located at -43.9, -176.483 (Lat. / Lng. ), about 11 miles away. The Chatham Standard Time Zone is a geographic region that keeps time by adding twelve hours and forty-five minutes to Coordinated Universal Time (UTC) resulting in UTC+12:45. The Chatham Standard Time Zone is used exclusively in the Chatham Islands, a territory of New Zealand, located in the South Pacific Ocean at 43°53′54″S, 176°31′44″W. It is one of only two official time zones with a 45-minute increment from UTC. Nepal Time is the other time zone that keeps its offset at UTC+05:45. Located at -43.8983, -176.529 (Lat. / Lng. ), about 12 miles away. Hanson Bay is a large bay which comprises almost the entire east coast of Chatham Island/Rekohu, the largest island in New Zealand's Chatham Islands archipelago. It is 35 kilometres in extent, stretching from Okawa Point in the island's northeast to Manukau Point in the southeast. Located at -43.885, -176.372 (Lat. / Lng. ), about 10 miles away. Lake Huro is located in the Chatham Islands of New Zealand. It is located on Chatham Island to the southwest of Te Whanga Lagoon, close to the settlement of Waitangi. Located at -43.9333, -176.517 (Lat. / Lng. ), about 10 miles away. Pitt Strait is a channel, 25 kilometres wide, separating Chatham Island and Pitt Island, the two largest islands in New Zealand's Chatham Islands. Located at -44.15, -176.333 (Lat. / Lng. ), about 8 miles away. Owenga is a small settlement on Chatham Island, in New Zealand's Chatham Islands group. It is the second easternmost settlement in New Zealand, after Flower Pot Bay on Pitt Island. It is located in the southeast of the island, close to Cape Fournier. The Wharf at Owenga was built in 2010 and is the home of many fishing boats. It is also one of the main places to catch a fishing boat that may take you to Pitt Island. Located at -44.027, -176.361 (Lat. / Lng. ), about 1 miles away. Cape Fournier is a headland on Chatham Island, in New Zealand's Chatham Islands group. It is the southeasternmost point in the island, and is the closest point on the island to the second largest of the Chatham Islands, Pitt Island, which lies 20 kilometres to the south-southeast across Pitt Strait. Located at -44.05, -176.325 (Lat. / Lng. ), about 2 miles away. The Makara River is a river in the Chatham Islands of New Zealand. Located in the southeast of Chatham Island, it runs northeast to become a tribuary of the Te Awainanga River, which flows into Te Whanga Lagoon. Located at -43.9896, -176.458 (Lat. / Lng. ), about 5 miles away. These are some bigger and more relevant cities in the wider vivinity of Ouwenga.